Epidermoid carcinomas and other lung cancers are generally treated surgically whenever possible. Yet, even when a tumor is successfully removed, recurrence of the cancer is relatively common. Consequently, chemotherapy and/or radiation treatments may be used following surgery to decrease the likelihood that tumors will return. These forms of therapy are also used for individuals who are considered medically unfit to undergo surgery and can slow the growth of tumors or shrink them even when a cure is not possible. 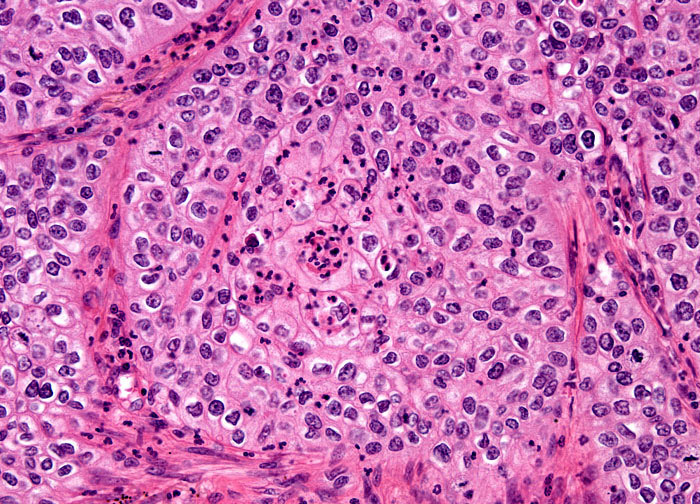 The overall prognosis for patients with epidermoid carcinoma is rather bleak, the five-year survival rate being approximately 15 percent. If diagnosed and treated early on, however, the outlook for patients is much better, with a survival rate of nearly 50 percent.